1In Photoshop, choose File→Open and select the Facebook-Timeline-Template.psd file. 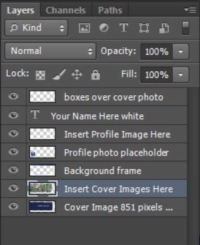 The template opens in the Photoshop workspace. 2Choose Window→Layers to open the Layers panel. 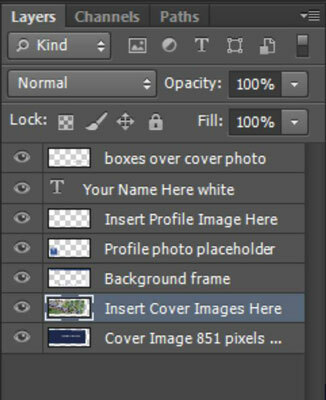 The Layers panel opens on the right side of the Photoshop workspace and displays all seven layers included in the Facebook-Template.psd file. 3Choose File→Open and then open the image you want to use as your main cover image. The image opens in the Photoshop workspace. The Image Size dialog box opens. 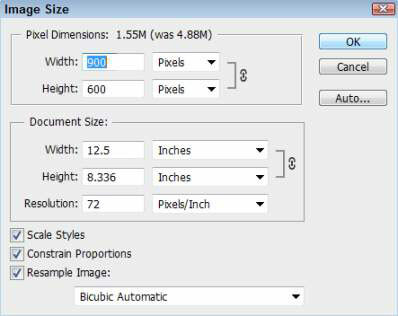 5In the Image Size dialog box that opens, change the height and width of the image. Ultimately, the cover image displays at exactly 851 x 315 px to fit the space at the top of your Facebook Profile. However, this template is twice that size, so you should set the width of your cover image to 1702. 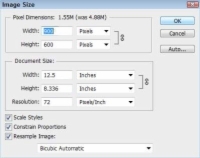 You can resize the image before or after you paste it into the template file, which you do in the next steps. However, if the cover image is significantly larger than the template, resizing it after you paste it into the template file is difficult. For best results, get the cover image close to the final size while still leaving a little room to move the image around in the template and get things lined up the way you want them. 6Copy the image you want to use as your cover image. You can copy the image whatever way you prefer. One way is to press Ctrl+A (on a Mac, cmd+A) to select the image, and then press Ctrl+C (on a Mac, cmd+C) to copy the image. 7Click the tab in your image-editing program that has your Facebook Timeline Template open in it to make it active in the workspace. The template becomes visible in the Photoshop workspace. 8Click to select the Insert Cover Images Here layer, and then paste the image you copied into the template. 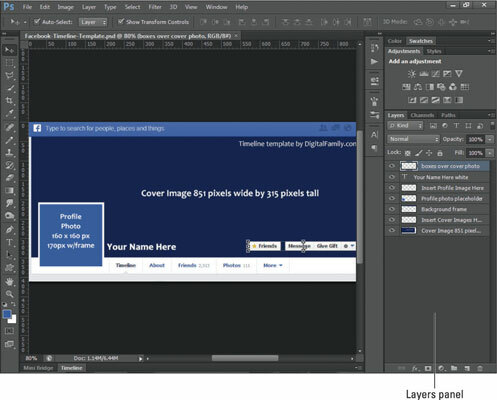 The template includes a layer named Insert Cover Images Here to help you position the cover image so that it sits behind the Profile photo and border of the Facebook design area. This makes it easier to position the image and see how the two images will work in relationship to one another in the following step. If your cover image isn’t on the correct layer, it may cover up the template, or it may not be fully visible. If that’s the case, you need to move it to the correct layer. Choose the Move tool from the Tools palette and then click the cover image layer to select it; drag it until it’s below the Frame Should Surround Cover Image layer. Similarly, you can click to select the image itself in the main workspace and drag it until it’s in the desired position in the template.